Clean the turkey inside and outside, remove giblets and drain cavity. To measure how much oil you need you put the raw turkey in the pot and add enough water to cover the turkey. Put a mark where the water was at. 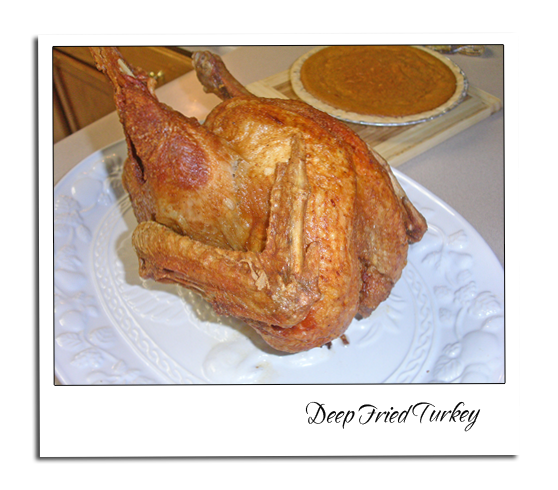 Take the turkey out dry the pot and fill with peanut oil to the level where you left the mark. 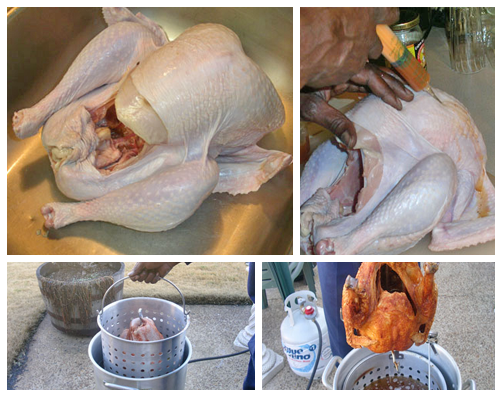 Once the oil has come to temperature, place the basket with the turkey in the pot very slowly. 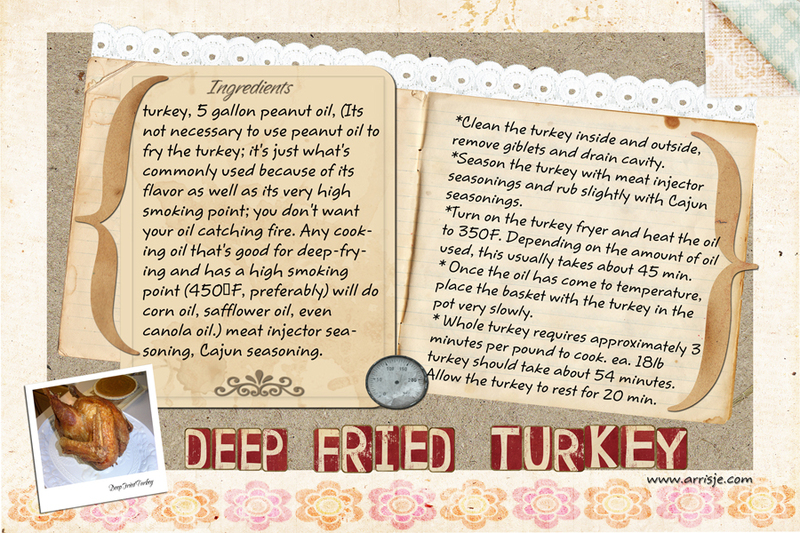 Whole turkey requires approximately 3 minutes per pound to cook. ea. 18lb turkey should take about 54 minutes. Allow the turkey to rest for 20 min.